By Krassi Jeliazkov.Published 2005. 136 pages, Size 24.5x18.5 cm. 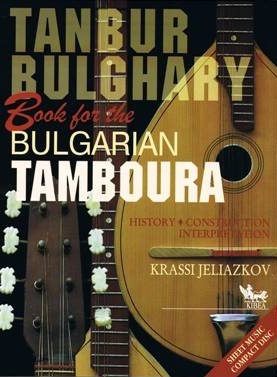 Book for the Bulgarian tamboura takes you to the roots of the Bulgarian people"s musical tradition, and follows the journey of an extraordinary instrument to different parts of the world under a variety of names. In Bulgarians" family and civic life it has also been known under different names, but the melodious word hulgaria suits it best. In this book you will find everything there is to know about the construction of the Bulgarian tamboura, its varieties, and its interpretation and application specifics, with many examples and illustrations in the CD. You will be able to learn the ornaments that are typical of Bulgarian folk music. You will master the specific tamboura technique, favourable for instrumentalists with a taste for improvisation.